View of the master bedroom. 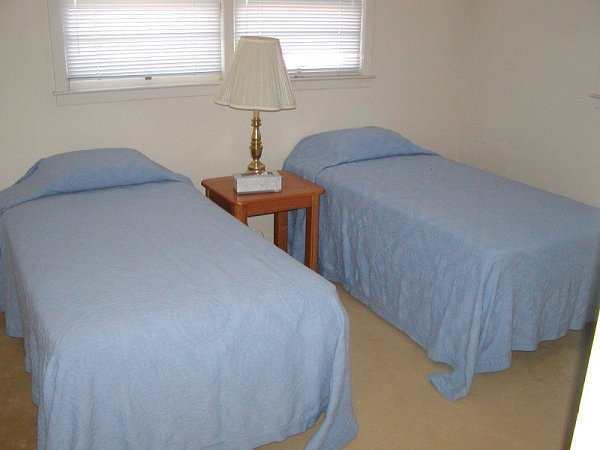 This bedroom has a queen sized bed and private bath with walk-in shower. Second bedroom also has a queen sized bed. 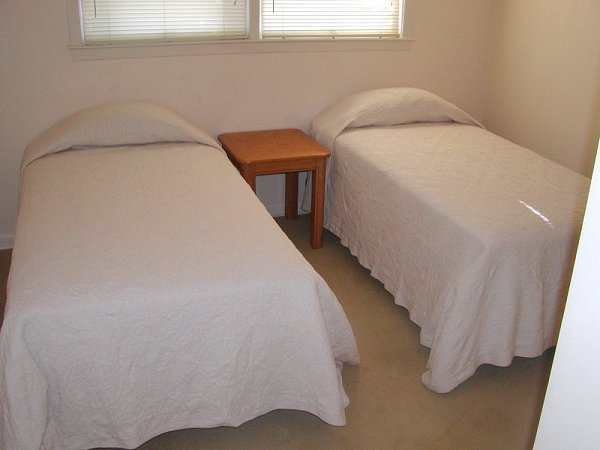 Third and fourth bedrooms each have two twin beds.